How Quick Copy & Repro clients remove their pricing bottlenecks. Product specific screens. 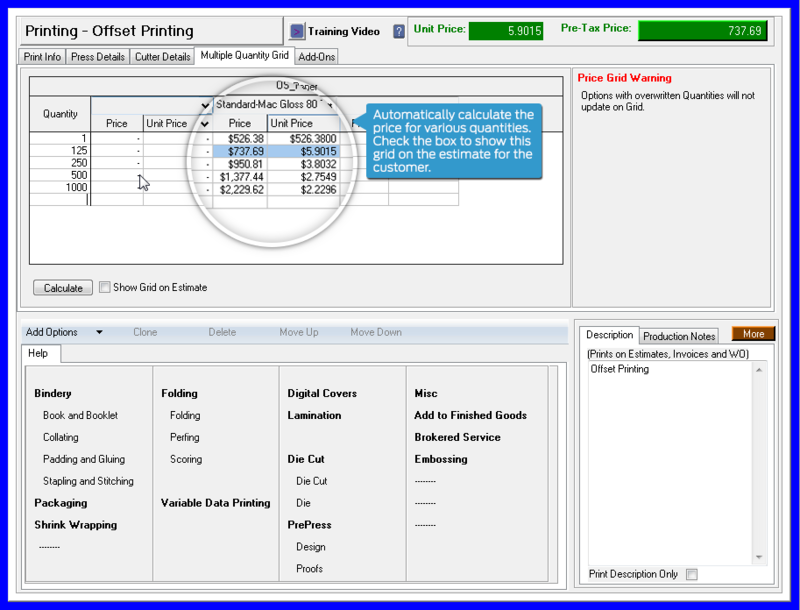 Easily calculate multiple quantities and materials and provide customer specific pricing. Wondering about profit? Know your estimated profit on every estimate before you send it. Don't forget finishing options. Include details for binding, folding, die cutting, stitching and more. 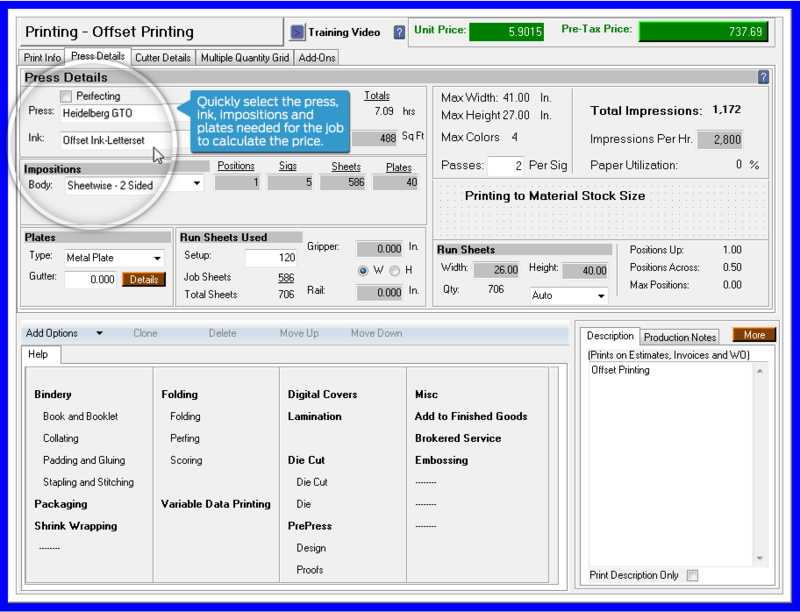 Easily estimate Offset jobs! 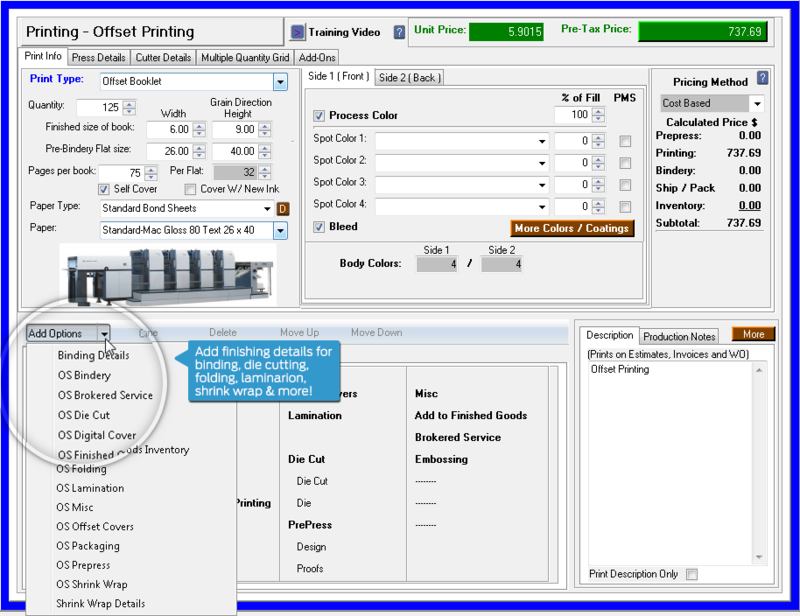 Control has an array of easy-to-use offset estimating tools; anyone at your business write a comprehensive quote in minutes. Select equipment, materials, finishing options and more! 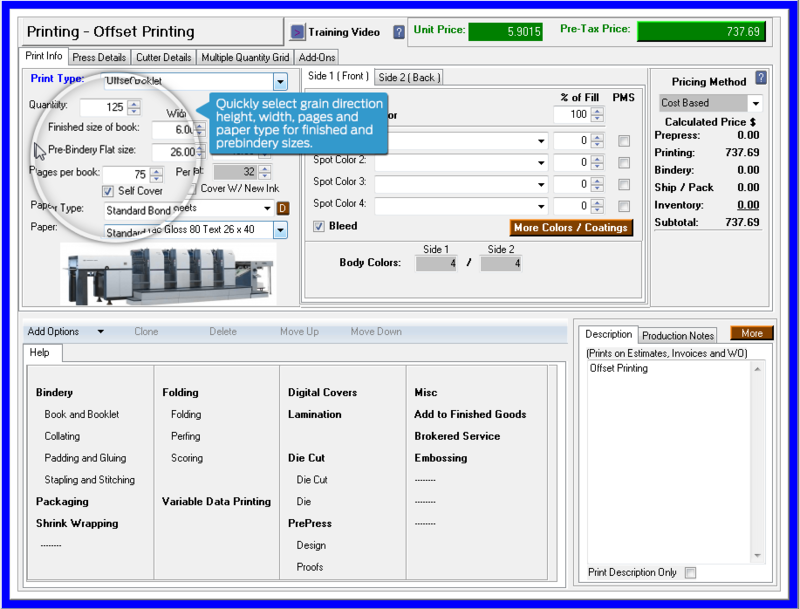 Find out how to easily estimate offset printing! Price is automatically calculated at different quantity levels. One click on the form and you can share this grid with your customer on the estimate. Select the press, impositions and plates needed.